At the end of the Second World War, communities around Australia made plans to commemorate the fallen. 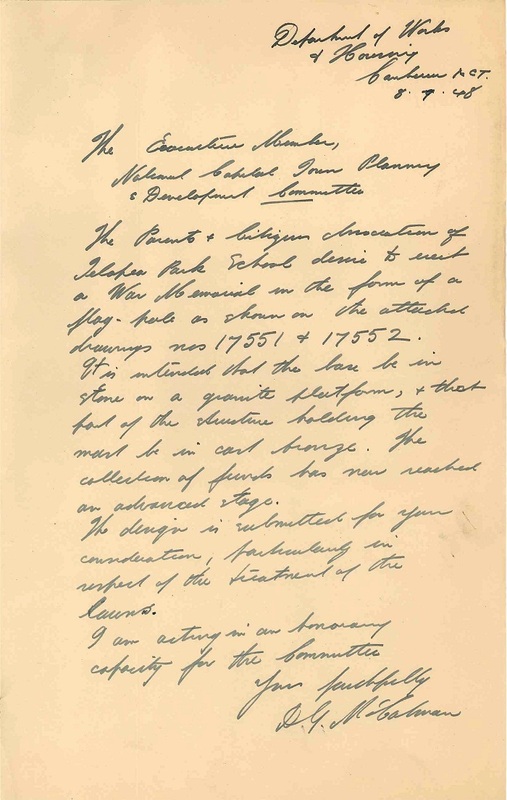 In 1946 the Parents’ and Citizens’ Association of Telopea Park School proposed the erection of a Memorial Flagpole “To commemorate the services of those students of this school who served in the Second World War 1939-1945”. 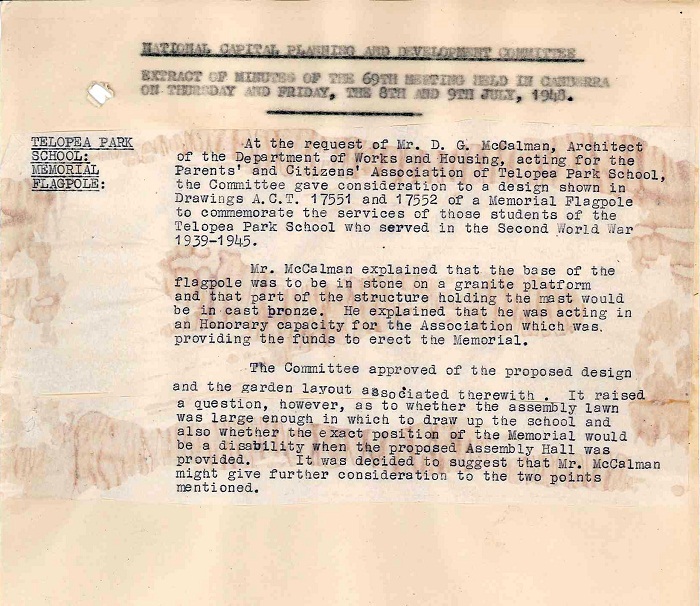 The file documenting the proposal is ArchivesACT’s “Find of the Month” for April. Opening in 1923, Telopea Park School in Barton is the oldest school still in operation in Canberra. By the start of the Second World War, many of its former students were old enough to enlist and serve with the Australian armed forces overseas. 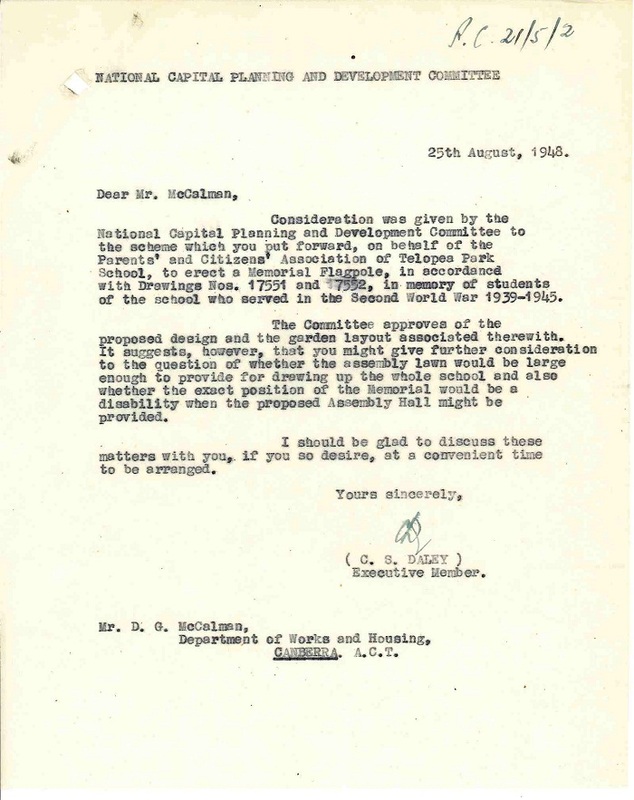 File 'PC21/5/2 - Flagpole - Telopea Park School' includes a note from Department of Works and Housing architect D.G. McCalman, who outlines a proposal for an impressive granite and bronze structure. It is accompanied by his beautiful drawings and plans of the anticipated monument. 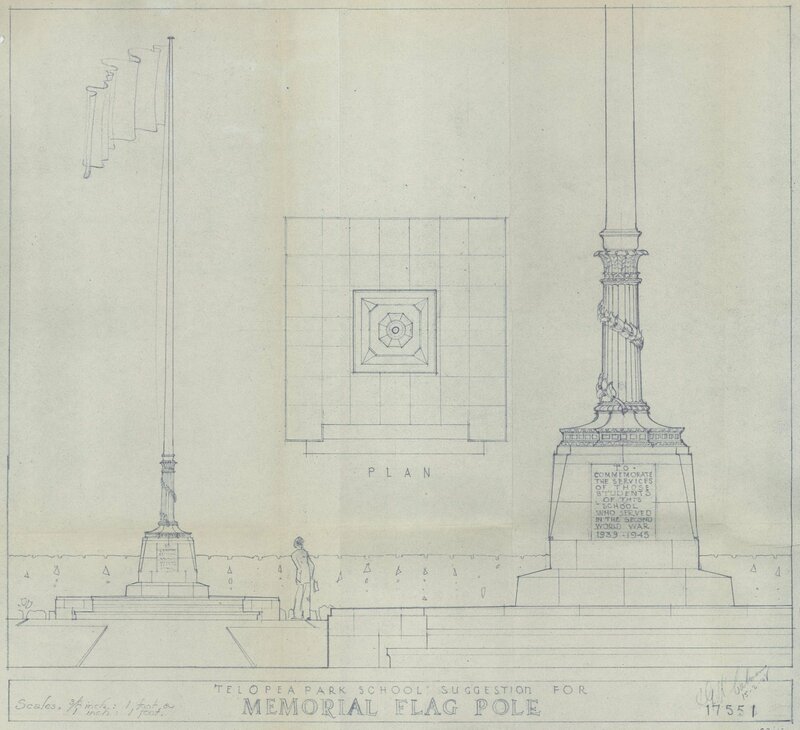 The Parents & Citizens Association of Telopea Park School desire to erect a War Memorial in the form of a flag-pole as shown on the attached drawings nos 17551 & 17552. It is intended that the base be in stone on a granite platform, & that part of the structure holding the mast be in cast bronze. The collection of funds has now reached an advanced stage. The design is submitted for your consideration, particularly in respect of the treatment of the lawns. I am acting in honorary capacity for the Committee. 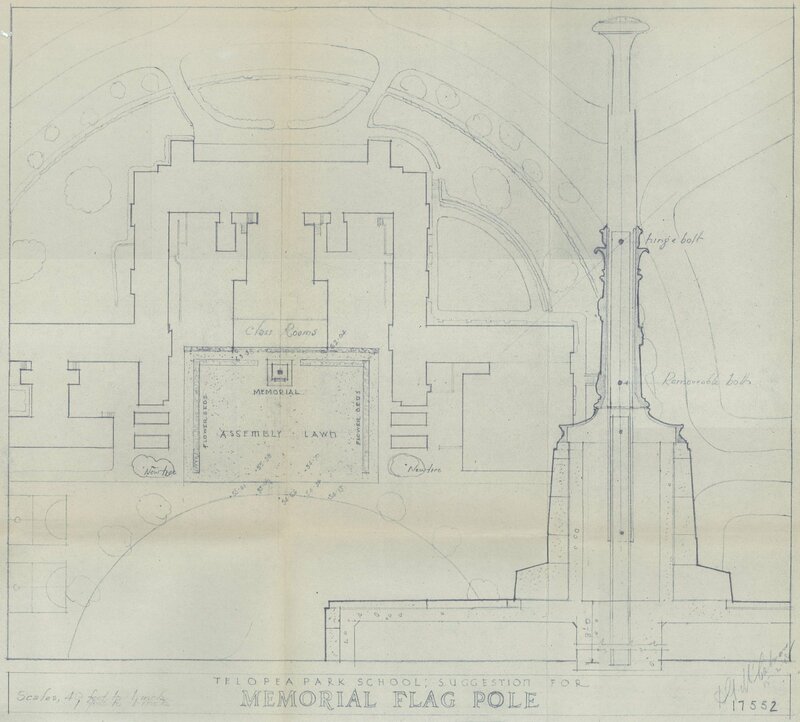 These plans show the memorial was to have positioned on the assembly lawn at the rear of the main building. The National Capital Planning and Development Committee discussed and approved the proposal at their next meeting. They did suggest that the assembly lawn may not be ideal, due the proposed assembly hall to be constructed next to the lawn. Memorial Unveiled At Telopea Park School. (1953, September 12). The Canberra Times (ACT : 1926 - 1995), p. 5.